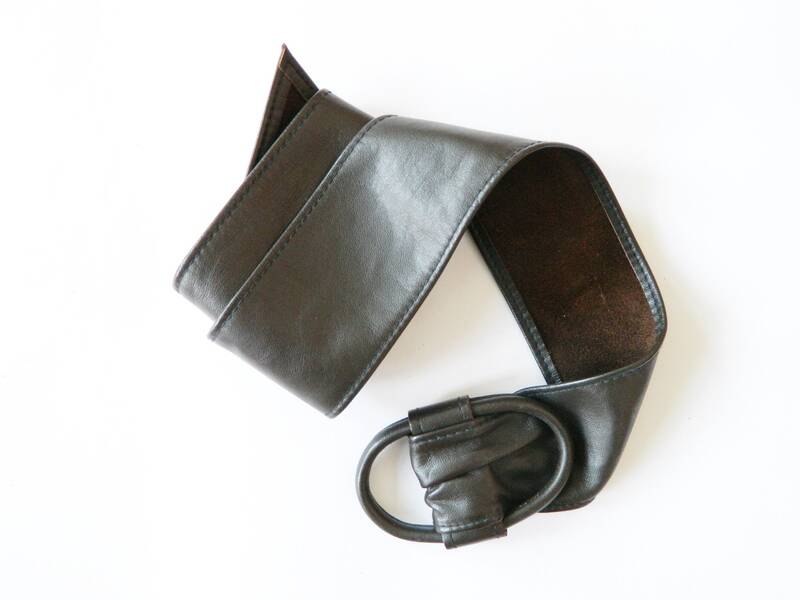 Leather belt in a dark brown. 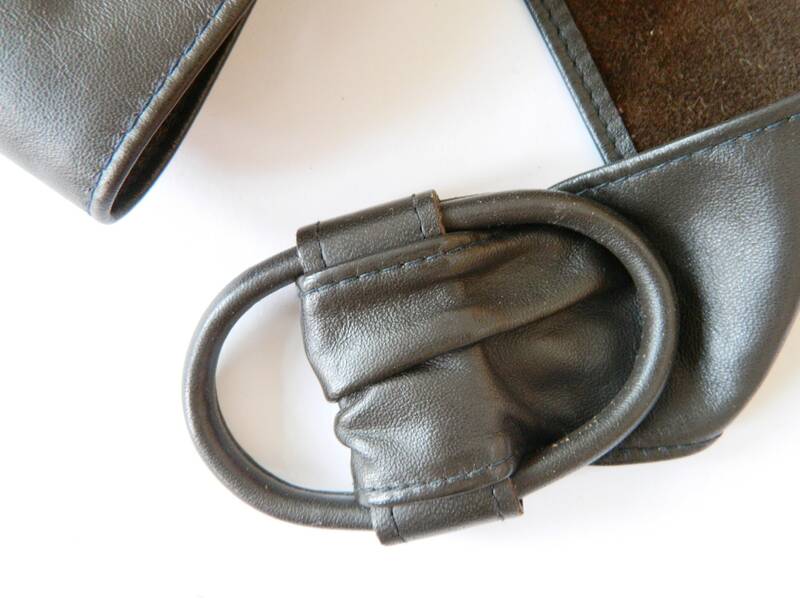 The buckle is also covered with smooth leather. Inside, the belt is made of soft suede. Very good vintage condition. 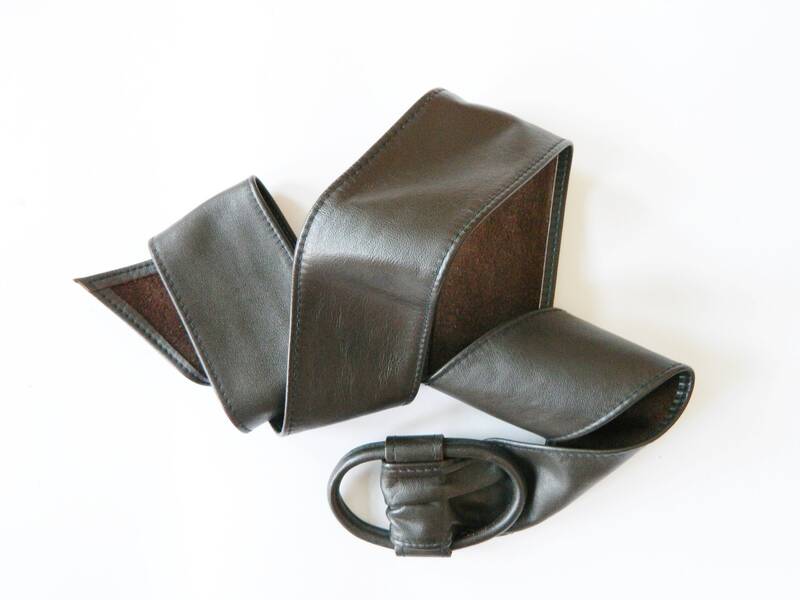 Leather belt in a dark brown. The buckle is also covered with smooth leather. 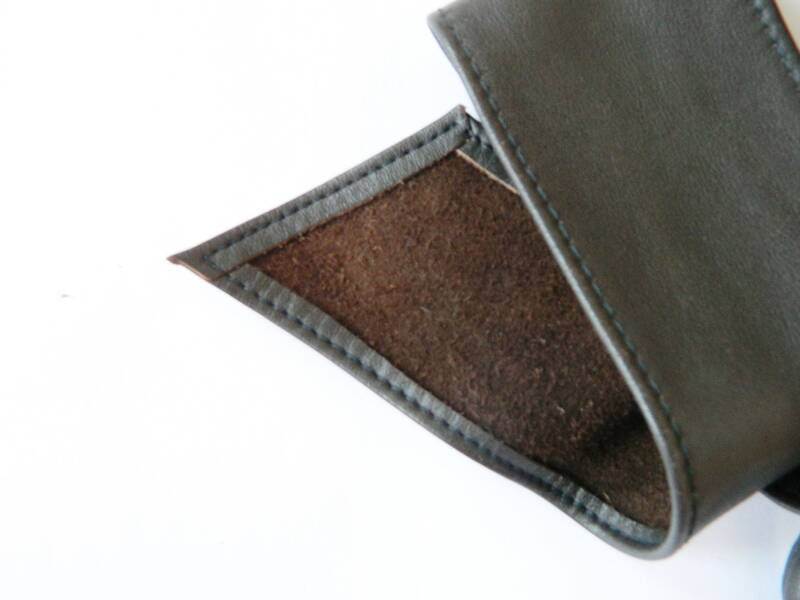 Inside the belt is made out of soft suede. Very good vintage condition. -Total length 111 cm, 44 "
-Wide 6.5 cm, 3 "